Friends treat you lunch, bestfriends treat you Chill Chill. 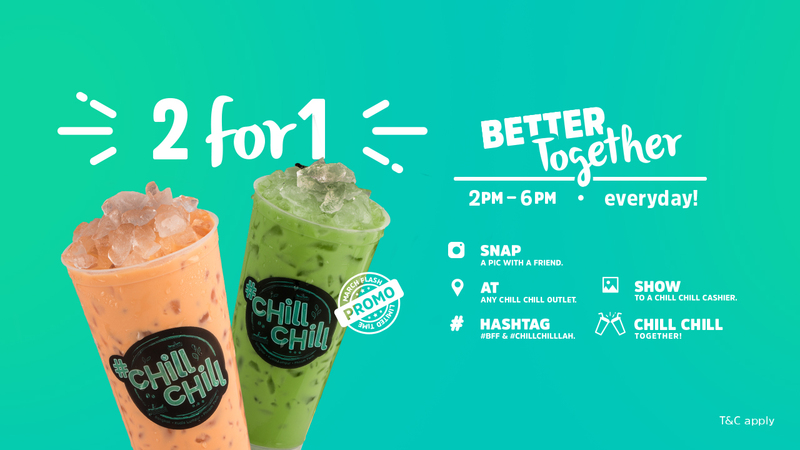 Snap a photo with a friend at any Chill Chill outlet, with the hashtag #bff & #chillchilllah, show the photo to the cashier to receive the promo! *T&C applies* Click on the link for more info. For the month of March 2017 only. Applicable at all participating Chill Chill outlets. Chill Chill reserves the right to amend any terms and conditions without prior notice.